As we grow ITSPmagazine, we are offering very affordable sponsorship opportunities and some “from the menu” packages. What does VERY AFFORDABLE mean, exactly? It’s simple, really. Tell us what an ITSPmagazine sponsorship is worth to your company and we will get back to you with a custom program that will generate the best return on investment in terms of brand awareness, product/service positioning, and thought leadership. Because we can and because we want to. Because we are a small team that genuinely cares and is passionate about what we do. Because we have chosen relationships over leads, quality over quantity, customization over massification, and intelligence over stupidity. Because we are aware of the changing landscape and understand that each company, organization, and institution has different needs, goals, brand values, products, strategies, and budgets. Most importantly, because we choose ethics over cash. Our goal is to create quality content; we’re all about telling good stories that educate businesses, individuals, and society in a way that makes our audience think. We want our readers and listeners to be comfortable to enjoy our content without the pressures associated with being tracked and hammered with sales pitches. Such a strategy allows us to connect with our followers through trust and conversation, and in turn, connect them with your company in a meaningful way. This happens not because of some click-bait headlines about some massive database exploit. Rather, our audience engages with your brand and your company because they trust us and are genuinely interested in who you are, what you do, what your mission is, what your values are, what your product does, how your services work, and — how you can help solve their problems. Our readers, listeners, viewers are those who truly care — our audience are very engaged with ITSPmagazine, both online AND in the “real world.” They are the cybersecurity community, the businesses leaders, the professionals interested in security solutions, the consumers, the educators, the students, the parents, the kids, and, apparently you. Cybercrime is pushing us here. Vendor marketing is pushing us there. It's time we turn the tables. Our goal is to bring transparency to the operational aspects of cybersecurity and discuss the challenges we face in running a business securely so that InfoSec executives, business leaders and security operations teams can make the best decisions possible as they look to operationalize their risk, security, and privacy management programs. We are already living in a cyber society, so we need to stop ignoring it or pretending that it is not affecting us. We discuss the impact that technology and cybersecurity – or the lack of – have on our everyday lives; we raise our voice, call for awareness, and educate businesses, institutions and consumers about InfoSec, privacy and cyber safety. These days everybody is talking about diversity and inclusion, but who is actually walking the talk? Diverse IT takes a direct and solution-oriented approach to diversity and inclusion, through conversational interviews with a wide range of industry leaders and diverse professionals, with the goal of inspiring our community to understand, value and embrace our wide range of differences. There are things that must be said about this industry and we are going to say them. Our mission is to humanize the technology and processes that IT security professionals employ as they devote their livelihoods to protecting the world’s systems and information. This is where InfoSec leaders share their personal stories with their community. There are not enough cybersecurity professionals. We know that already. So how can we change this statistic? Our aim is to raise awareness for the InfoSec industry’s educational and employment opportunities in an inclusive manner, by sharing stories and opportunities so everyone can benefit from STEM programs, schooling, training, scholarships, certifications and continued education. Where are we going? Where do we come from? Is technology driving and controlling us, or are we still choosing our own destiny? Every week we invite unusual guests to discuss the latest topics that got our attention. Do you need Some numbers? 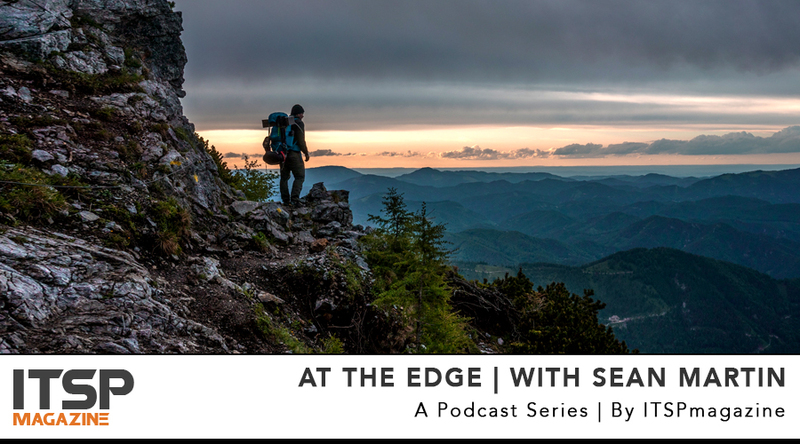 We are currently seeking sponsors to support awareness and education for the important topics that we cover on Our Podcasts Columns: At The Edge | The Cyber Society | Diverse IT | An InfoSec Life | The Academy. No matter what your budget is, it comes with a lot of goodies! When you join us, you are part of ITSPmagazine’s Conference conversations and you have a unique opportunity to associate your company to the conversations that we have before, during and following the events. Additionally, you get Brand Awareness and Exposure while receiving all of the benefits offered by our platform. 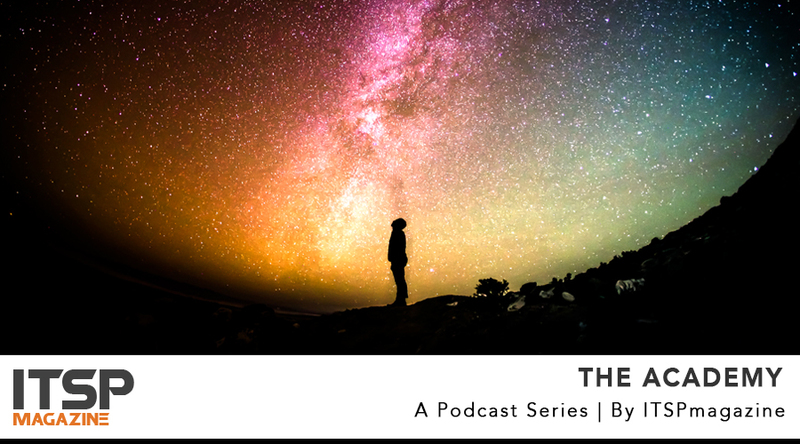 Unusual Gatherings [Conversations At The Intersection Of IT Security And Society] is now a weekly podcast with Sean Martin and Marco Ciappelli. Every week we will discuss the latest topics that got our attention. By associating your brand with our Unusual Gatherings you will always be center stage on ITSPmagazine. Reach the most engaged ITSPmagazine audience. With easy-to-digest educational content, our newsletter goes to ~20,000 opt-in subscribers that have an active interest in IT Security and how it affects our businesses, society and daily life. It's your company page. Display your brand for everyone to see. With the Advanced Company Listing, your press releases, events, promotional marketing assets and any other materials you provide will be featured on Your Company Page on ITSPmagazine. Reach ITSPmagazine’s audience through our collection of company and personal social media properties. With the goal of providing educational content in an easy-to-digest manner, our social media properties receive ~2M social impressions monthly, and growing. With our Conference And Event Promotion Package, your event will be featured on the Event Listings, on our Homepage, Newsletter, and shared with our growing social media audience. It comes with some Extra Bonuses too! Find out how we can help promote your events. By selecting this promotional package, ITSPmagazine will promote a marketing asset of your choice: White papers | Research reports | Webinars/webcasts | Case studies | Videos | Pretty much anything you want us to promote for you. Let us know about you and your company to get the conversation started. We look forward to getting to know you and to make great things happen together. It may sound a bit cliché, but we really mean it!